Jen Hidinger at her restaurant, Staplehouse, housed in a 1906 building that still has its original pine beams. It was love at first sight, as Jen Hidinger always tells it. Her husband, Ryan, would joke that it took him a bit longer. “Well, for me, it was love at first sight,” Jen says. They met at a grocery store in the Indianapolis suburbs. She was 17 and worked the cash register. He was 22 and a line cook at a catering company nearby. He kept coming into her store, giving her a shy wave and buying Bubblicious gum. He bought a lot of Bubblicious. That day, Ryan and Jen went to the park, and then back to Ryan’s apartment, where he cooked for her. “It was a chicken dish with artichoke and some sort of cheese situation inside,” Jen says. “It was terrible -- but for me, it was amazing.” And for Ryan, food was an act of caretaking. He’d started cooking out of necessity, for himself and for his sister, Kara, while their mom, a single parent, worked. When Mom did cook, it was often Santa Fe Chicken, a recipe from the back of a Success Rice box. They ate so many TV dinners that when Kara got a dog, she named it Stouffer. Ryan and Jen married after she finished college. They moved to Atlanta, and while Ryan worked his way up at several of the city’s best restaurants, the two began planning their own. The name Ryan created: Staplehouse. The menu would be based on good staples -- fresh produce and whole grains, not the stuff he’d grown up on -- and they’d be welcoming diners into their culinary home. 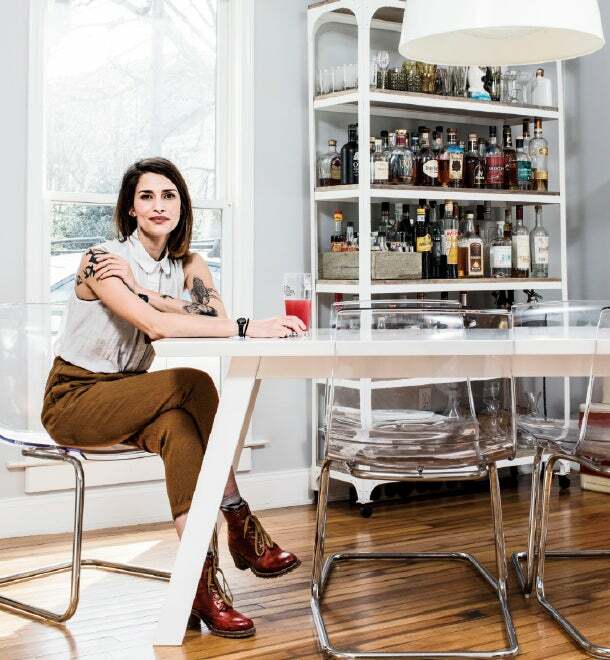 In 2009, as a first step toward the business, Ryan and Jen started hosting pop-up, supper-club-style dinners -- $65 per person, for five courses, served at their tidy bungalow in a fast-gentrifying part of southeast Atlanta. They happened on Sundays, Ryan’s one day off from his job. Each Thursday morning, Jen would email the menu -- “season-driven” and “mood of the kitchen,” in Ryan’s words -- to friends and contacts. After a few weeks, the meals were selling out within five minutes. Then, in 2012, Ryan was diagnosed with stage 4 cancer of the gallbladder. He was 35. Doctors gave him six months. Marriage may be the most universal of startups. It always seems like a good idea at the time. Though the failure rate is high, nobody embarks on the venture intending to quit. Elements beyond your control can have outsize effects. And there’s a constant dance between wants and needs, hopes and realities. By all accounts, Ryan and Jen had a strong partnership. Intense but reserved, Ryan “was willing not to fully peacock, as a lot of chefs want to do,” says Ryan Turner, his boss at Muss & Turner’s, where Ryan was chef de cuisine when he fell ill. He’d worked his way up from line cook. “There was absolutely a humility there.” Jen proved no less strong-willed but more outgoing. Before he even applied for the job, for instance, she went on a recon mission, meeting Turner and testing the food so she could report back. Together they forged a network of friends and supporters -- one that, after Ryan’s cancer diagnosis, was even more formidable than they realized. Turner and his partners convinced several restaurateurs to add a donation line to their guest checks, and helped organize a fund-raiser called Team Hidi. Within two months, the Atlanta culinary community had raised more than $275,000 for the Hidingers. Ryan had medical insurance, but the donations helped pay for what the policy did not -- including travel to the MD Anderson Cancer Center in Houston, and allowing Jen to quit her job to care for Ryan. Ryan and Jen agreed. Now they had two startups to build, not one. They quickly decided that Staplehouse would be a subsidiary of The Giving Kitchen, and that all the restaurant’s proceeds would benefit the charity. 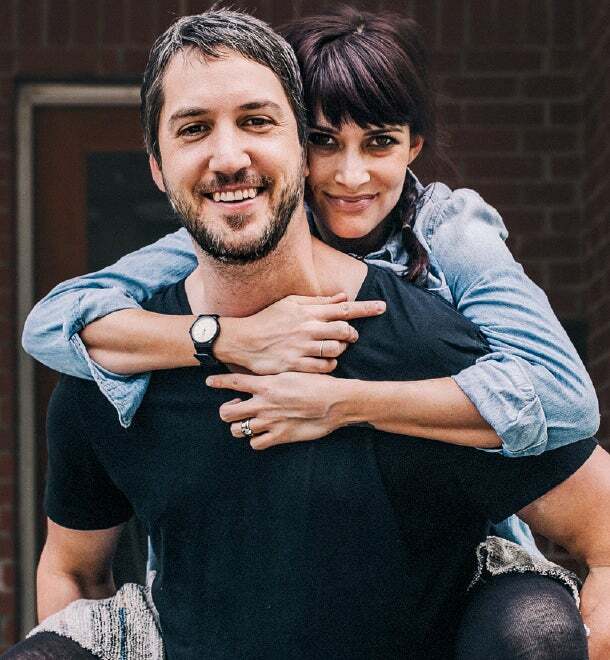 A core team formed to usher the project along: Jen; Ryan’s sister, Kara, who was designated the restaurant’s front-of-house manager; and her then-fiancé, Ryan Smith, who had met Kara at one of the Hidingers’ dinners and would work on food. In 2013, though, as Hidinger continued his cancer treatments, the project hit roadblock after roadblock, from a lease for space that fell through at the last minute to struggles securing a bank loan. On January 9, 2014, one year and 19 days after his diagnosis, Ryan Hidinger died. He was 36. She steeled herself for the long-planned annual fund-raiser, Team Hidi, which in 2014 came a month after Ryan’s death. 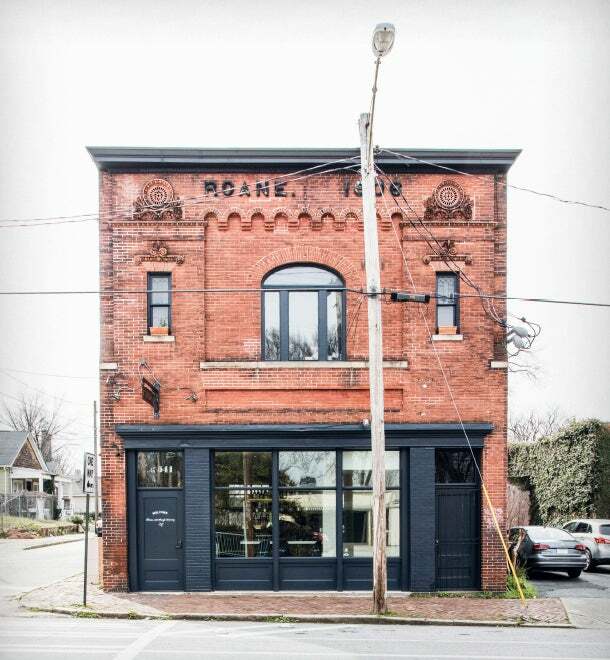 Buoyed by the excitement over Staplehouse’s newly signed lease, it raised nearly $325,000. As media attention grew, The Giving Kitchen needed a face. Jen had studied broadcast communications at Indiana University, and had once imagined a career in advertising, but never desired to be in front of the camera. “I’m good at implementation and getting things done—the things nobody thinks about and the things nobody realizes need to be done to make things fluid,” she says. But she was the obvious candidate for this role, the best megaphone for the nonprofit’s message. So she stepped up. The Giving Kitchen is actually run day-to-day by Stephanie Galer, a nonprofit veteran who was hired just days before Ryan’s death. She’s a daughter of restaurateurs, and she created guidelines for how TGK would disburse aid. “We pay bills directly. And we do not pay medical bills,” she tells me one day when I visit TGK’s headquarters, a large, sparsely furnished room in a converted warehouse. She also established firm criteria for grantees: Do you currently work in the restaurant industry? Was this an unanticipated crisis? Is there documentable financial need? Although Staplehouse was meant to be TGK’s financial engine, the restaurant’s repeated delays forced the charity to develop its own funding model. That has served it well: In 2016, TGK expects about $1 million in revenue -- about a third from donations from individuals and foundations, a third from special events like Team Hidi and a third from corporate gifts. Overhead is low, with just four employees in that bare-bones space. As Galer walks me through the budget, I crush an ant skittering across the table. She smiles. “We are not spending much money on our office,” she says. This year, TGK plans to disburse $500,000 in grants -- twice what it gave away last year. One afternoon, I visit a TGK grantee, Rhonda Gilliard, at her neat home on Atlanta’s west side. She had set out a bowl of animal crackers -- “my favorite,” she says -- for our meeting. Jen will always remember 2014 as the year of endless bureaucracy. “It was snail’s pace,” she says, navigating hearing after hearing, form after form, permit meeting after permit meeting. Staplehouse finally opened for business last September. Its home, two blocks from Martin Luther King Jr.’s birthplace, is a two-story brick building built in 1906. Aptly, given the restaurant’s name, it used to be a grocery. Its first couple of days were full, celebratory and bittersweet. Surveying all the friends who came to honor her husband’s memory and support the realization of this dream, Jen couldn’t stop herself from thinking of Ryan constantly: He should be here. He should be here with everybody else. Smith and his team have run in an elegant but unfussy direction. He’s dogmatic about eating seasonally. (Kara laughingly tells me of being chided by him one winter day, when he saw that their 10-month-old daughter, Lillian, was eating asparagus puree. “Where did you get that?” he asked. “It’s not in season.”) Though his cooking isn’t explicitly regional, he likes to keep things as local as possible -- he and his chefs forage juniper berries from Atlanta’s Cabbagetown neighborhood, and he favors Southern ingredients like benne flour and Charleston Gold rice. Though you wouldn’t know it from what appears on the plate, Smith works hard to keep food costs relatively low. Rather than discarding the beef fat trimmed from a rib eye, for instance, he ages it, renders it, emulsifies it into milk with a bit of pectin and then aerates it to create a velvety sauce. When I tasted it on a dish of broccoli, spinach and celery, the reincarnated fat added meaty complexity to otherwise austere vegetables. Three months after opening, they adjusted. Now there’s a tasting menu, which they’d like you to book ahead, and there’s à la carte. 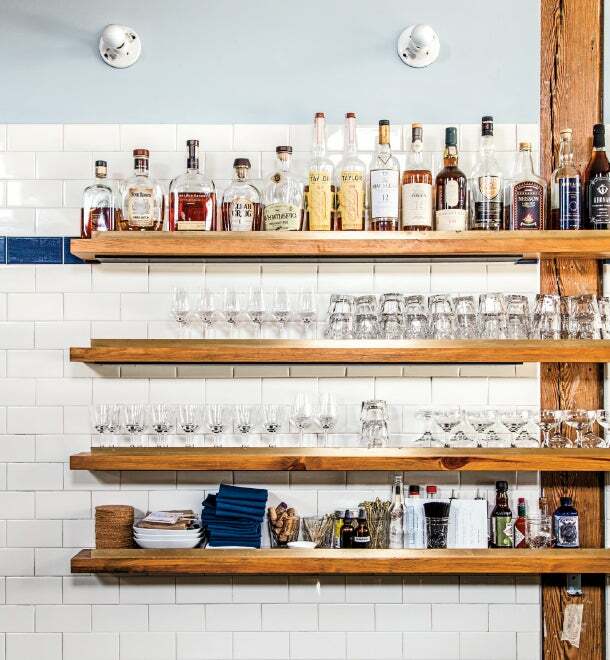 Walk-ins can ask if the tasting menu is available, and the kitchen will serve it if they can. It doesn’t matter where you sit. Kara has thought hard about how to maximize the per-person average (PPA) that restaurants use as a measure of profitability. For regular service, the restaurant needs to do two seatings per night at half its tables while not over-pressuring the kitchen. So Kara recently created a new reservations template, offering à la carte reservations at 6 and 6:30 -- which would allow them to turn those tables at least once -- and tasting-menu bookings at 7:30 and 8:30. If the tables reserved for tasting menus aren’t booked, Kara frees them up for à la cartes and walk-ins. The goal: to serve, on a typical weeknight, 30 tasting--menu guests and 36 à la carte per night, with a $60 PPA, not including drinks. The changes, Jen says, reflect lessons learned from “a crash course in adaptability. We’ve made mistakes, and we will make mistakes.” She seems confident that with just a slight but consistent bump in traffic, Staplehouse will soon be cash-flow-positive. We’re talking in the Staplehouse office, upstairs from the dining room, early one morning. I ask Jen about the nonfinancial aspects of the business. Sometimes, in the solitude of the mornings, the emotions can feel more acute. On November 12, 2015—what would have been her 10th wedding anniversary, and the first time she marked the occasion since Staplehouse opened—she sat at her desk and sobbed all morning. She wished more than anything that Ryan were there to see the fulfillment of his dream—their dream. 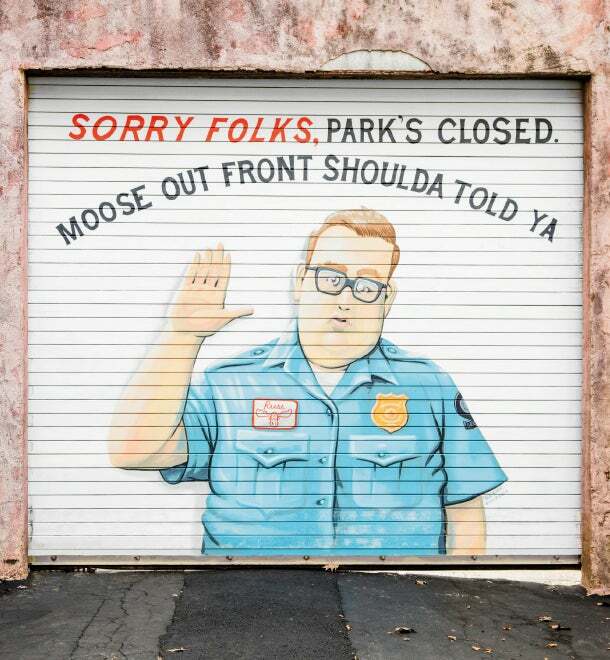 Staplehouse is closed on Tuesdays. So one Tuesday evening, I have dinner with Jen and her boyfriend, John, at Kimball House, a restaurant in nearby Decatur. (It’s not quite right to say Jen has moved on—“I will always love Ryan,” she says, and John is not a replacement. He’s in the industry, too, though his specialty is drink, not food, and he has participated in Team Hidi fund-raisers.) Jen seems relaxed and reflective, especially after the oysters and Champagne come. “I did not understand how closed, on a spiritual level, doors were to me,” she says. She muses on who she was before Ryan’s diagnosis and death, and how the journey has changed her. “I was terrified of death. Now I’m beyond not afraid. I’m grateful for that. “Do you believe in reincarnation?” she asks me. 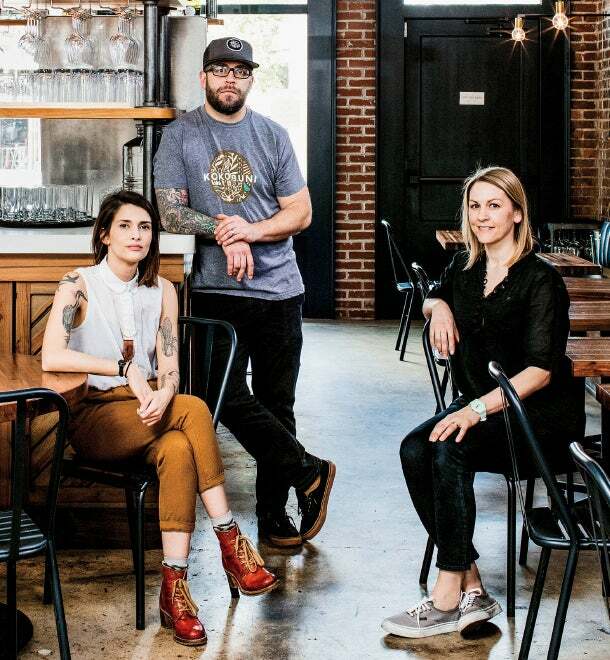 Later that week, The New York Times includes Staplehouse in a piece about Atlanta’s resurgent food scene. 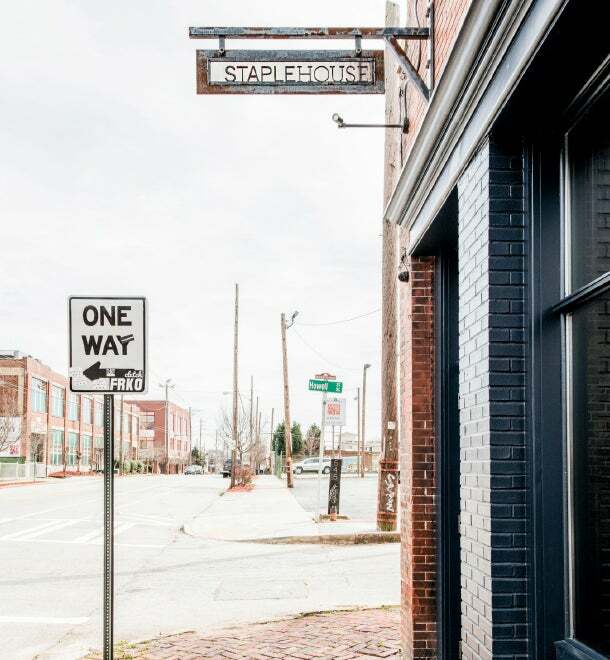 Then the James Beard Awards shortlist is released; Staplehouse is a nominee for Best New Restaurant, and Ryan Smith gets a nod for Best Chef: Southeast. The phone begins ringing every few minutes with reservation requests. That Saturday is its busiest to date, with 105 customers. Only then do I realize what I should have said in response to Jen’s question: I may not believe in reincarnation, but I do believe in life after death.